At a time when many towns, shopping centres, and high streets around the UK are experiencing falling visitor numbers, Bournemouth is bucking the trend with visitor footfall in the town centre continuing to grow. So far in 2017, numbers are up 20.4% on the previous year, this is particularly impressive when compared to the national average of -1.1%, and comes on top of a 12% rise last year. 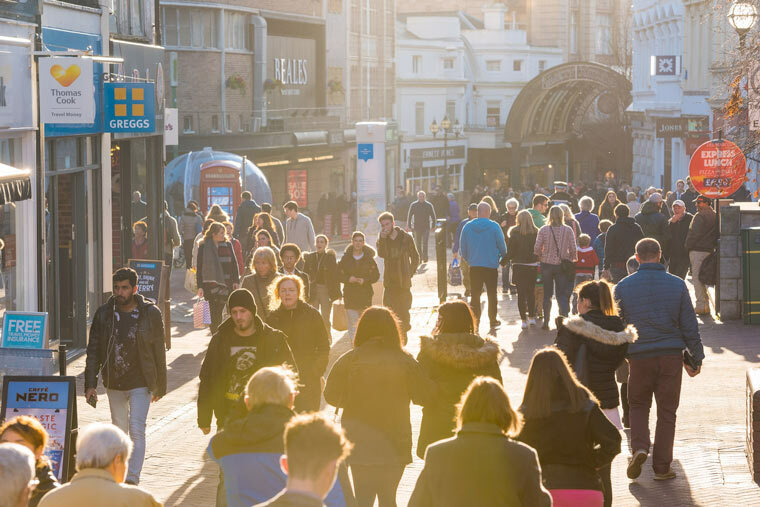 The increase in part is attributed to the success of the Town Centre Business Improvement District (BID) which has seen Bournemouth become a ‘Healthy High Streets’ town. Healthy High Streets is a Business in the Community initiative designed to help revive local high streets and restore a sense of pride. Bournemouth is one of 100 towns across the UK now receiving support from some of the UK’s biggest brands, including Marks & Spencer, Boots, Wilko, Greggs, EE, and Santander. Manager of Bournemouth Town Centre BID, Steve Hughes, said: “The Healthy High Streets partnership is really paying off as can be seen in the figures. In order to succeed and attract more people, the town centre needs to deliver something unique. Thanks to fee paying businesses, the Town Centre BID has to date been able to invest almost £3m towards improving the town centre. This has helped Bournemouth to compete against other coastal high streets which are averaging falling footfalls of -2.7%. Established in 2012, the Town Centre BID has introduced a series of initiatives over the last five years including sustained marketing, promotions and new events to bring more customers to the town and improve the profits of local businesses. The BID is due for renewal this year and has laid out plans for improving Bournemouth over the next five years.